Following our blog post on the benefits of teaching in small groups, which covered the benefits of confidence, educational progress and social skills, one of our tutors has added a touching personal testimonial to the discussion. 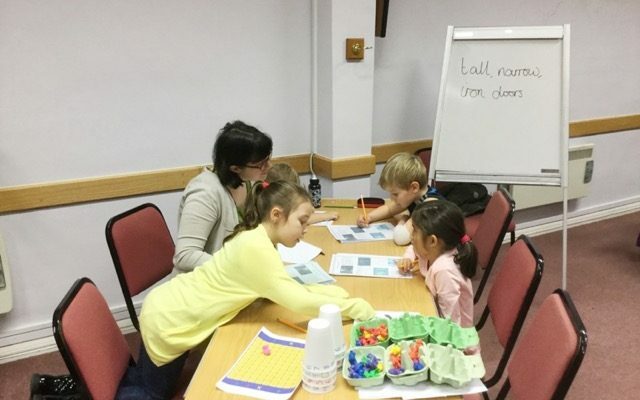 Lillian Kendrick, who runs Genie Tutors Edgbaston and Genie Tutors Harborne, has written this inspiring story for Genie Tutors that aptly demonstrates the strong learning culture that we try to foster. The main arguments in favour of small group teaching, from both educational and social viewpoints, have been well-documented – children become more confident, teaching can be targeted to individual needs and so on. I’d like to mention a couple of other points from my own experiences as a tutor. The very nature of a small group creates an atmosphere of familiarity, and over time a relationship develops, based on the principle that ‘we’re all in this together’. Pupils from different schools share ideas and compare approaches to topics, resulting in a broadening of their knowledge and experience. Pupils become aware, through sharing, that there are many different routes which can be taken to arrive at the same conclusion. For example, in one session looking at long multiplication, with 5 pupils preparing for 11+, every child had been taught differently in school. The pupils took it in turns to demonstrate ‘their’ methods to each other and decide which they preferred to adopt. I learned a few things on that occasion too, as a couple of the methods were new to me. Small groups give children the opportunity to take a more active part in their own learning by exploring and discussing approaches in a way they don’t have time for in school. Lillian’s experiences are heart-warming, and allow us to see the other skills that children improve whilst being tutored in small groups. By allowing children to share their ideas in a fresh environment and encouraging them to make their own choices about their individual learning methods, they are practising social skills that will continue to be of value to their development right through to their adult lives. The emphasis on personal development whilst achieving educational goals is a key part of Genie Tutors’ principles. Previous Post Why tutoring is a year round activity – not just for the exam period! Next Post World Book Day – why dressing up gives children a great access point to learning.